Drakengard, Dragon Quest, Final Fantasy, and more. 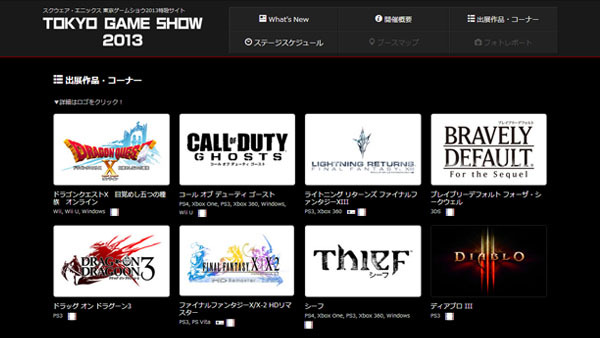 Square Enix has launched its official website for this year’s Tokyo Game Show. Both Final Fantasy XV and Kingdom Hearts III are yet to be listed on the website, but were confirmed to be at the show in an earlier CESA press release. Square Enix will live stream its stage events at SQEX TV and on Nico Nico Douga (visit website for links as they’re different for each day). Find Square Enix’s lineup below. The Tokyo Game Show runs from September 19 to 22.